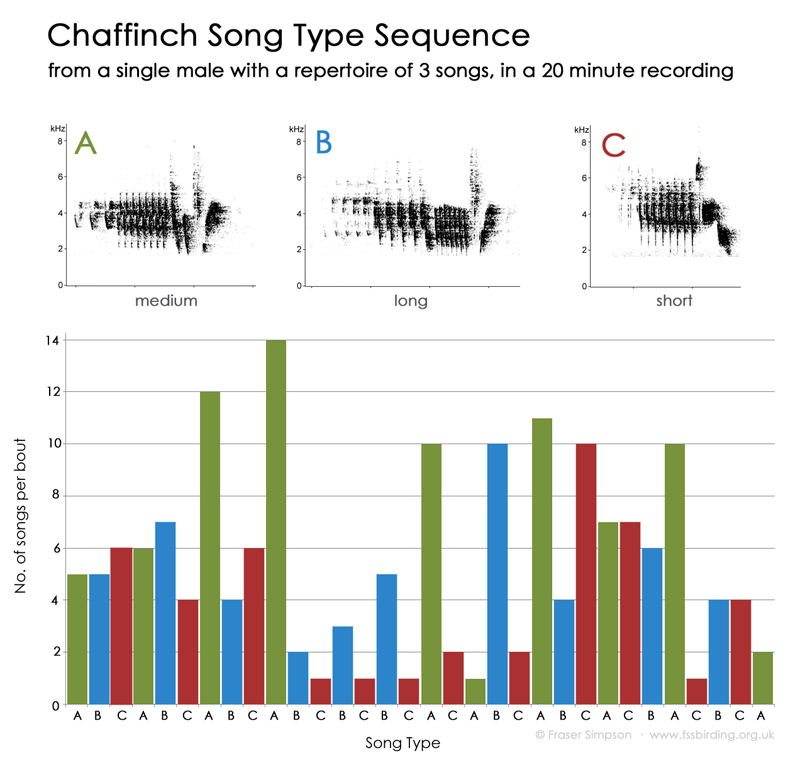 Edited sample of a singing male with three song types, playing A-A-A B-B-B C-C-C.
Of 173 song strophes sung in 20 minutes, 78 were type A (medium, 2.49 sec), 50 type B (long, 2.82 sec) and 45 type c (short, 2.11 sec) with 31 switches between each type. 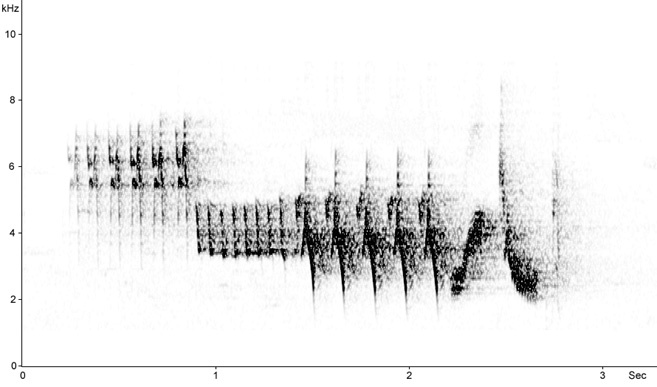 Territorial song from natural pine forest. Territorial song from spruce plantation. 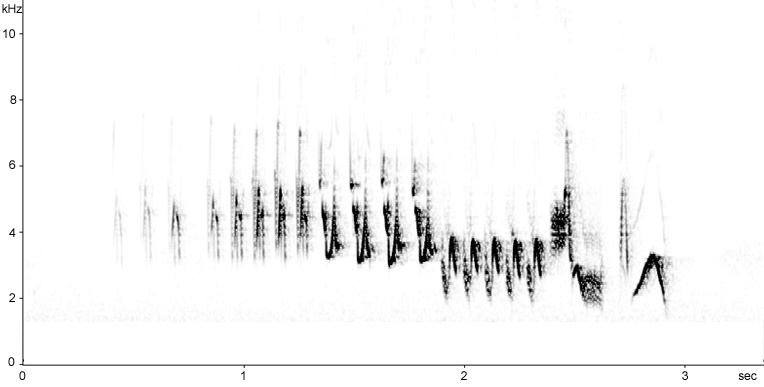 Territorial song composed of two trilling phrases and a terminal flourish from a tree-fall area in a Sitka Spruce plantantion, bordering a slightly more open area with a few Sessile Oaks and Silver Birches. 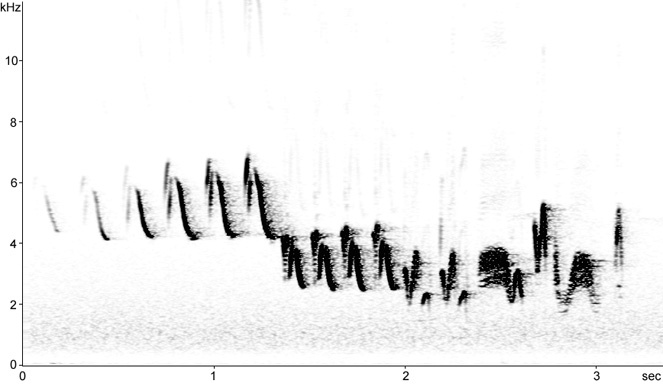 Song perches ranged from 2.5 to 10 metres. This individual had only one song type (~2.2 secs). 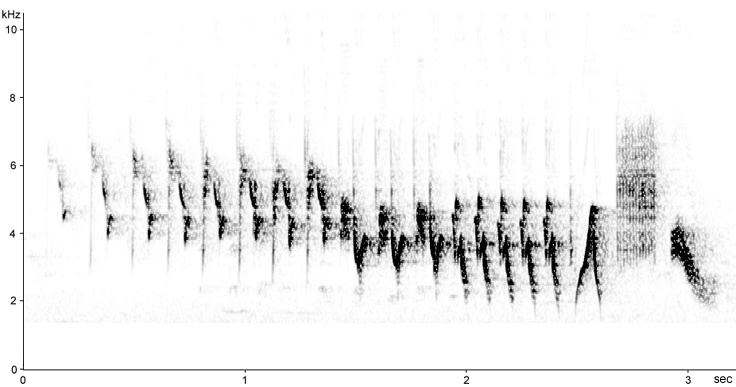 Of a one hour recording (~263 strophes), it sang for 45 minutes and was silent for 15 mins (5.8 strophes/min during the active singing period). Song matching with neighbours. Subsequent observation failed to locate a female (though possibly incubating). 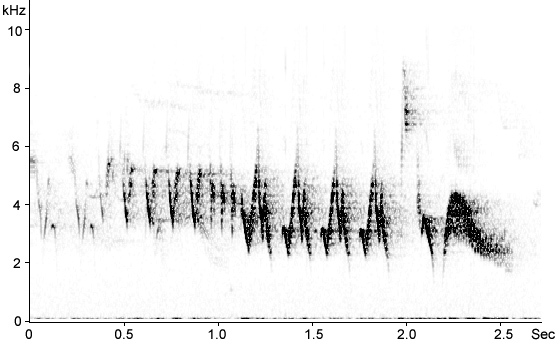 Territorial song from mixed spruce and oak. This song type contains a final keek element after the terminal flourish. 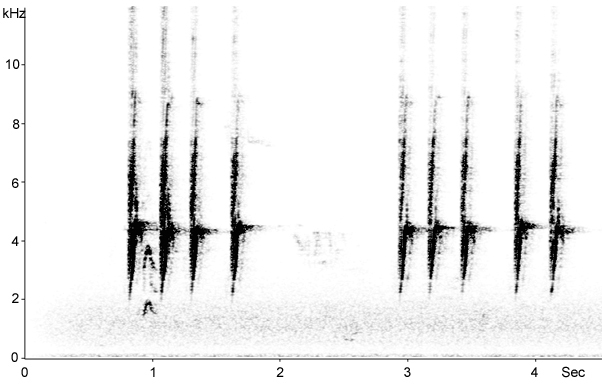 Remarkably, following a stophe represented in the above sonogram, a Great Spotted Woodpecker (Dendrocopus major) responds with its similar keek call, slightly lower in frequency. This seem to be widespread in eastern Europe, and I've heard it in Estonia, Poland and Finland. I've never heard a terminal keek in the British Isles. Territorial song of three trilling phrases and a terminal flourish from willow scrub: dry, 'unmusical' rendition. 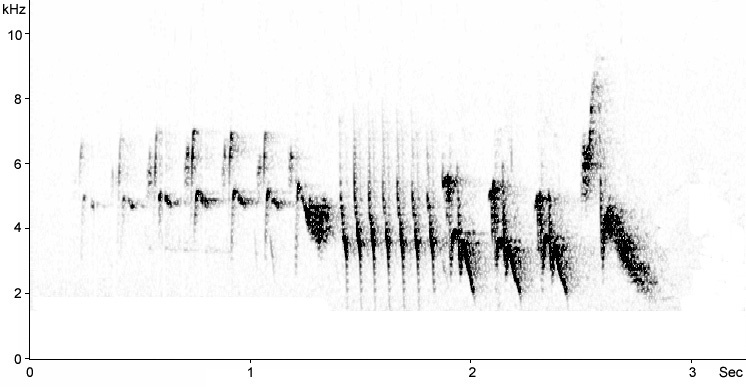 Territorial/advertising song from birch woodland on lake shore: more 'musical' rendition with initial Tree Pipit-like phrase and a terminal Great Spotted Woodpecker-like 'chick' element, characteristic of northern continental birds. Territorial/advertising song from Cork Oak woodland. 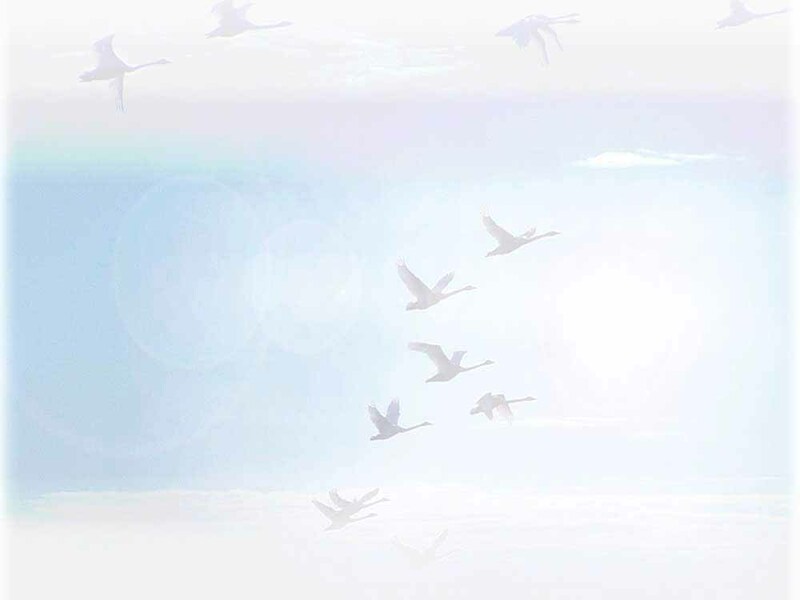 Calls from a bird flying overhead. 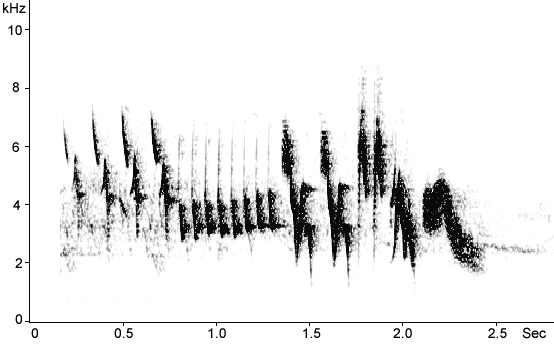 Short, soft, slightly downslurred joop elements 2.1 to 3.3 kHz. Typical 'pink-pink' call, probably being used as an alarm here. 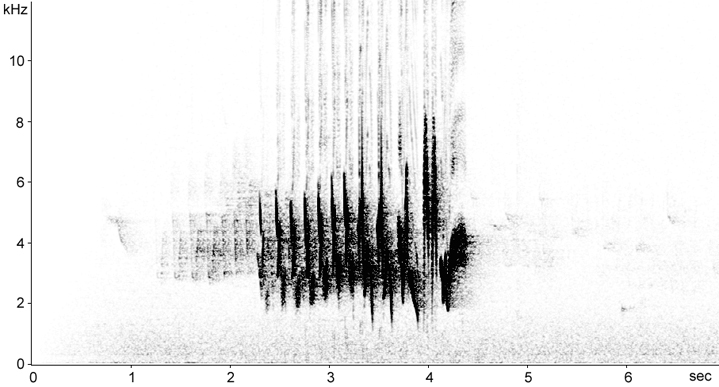 'Rain call' - an alarm call from a breeding male, often transcribed as huit. 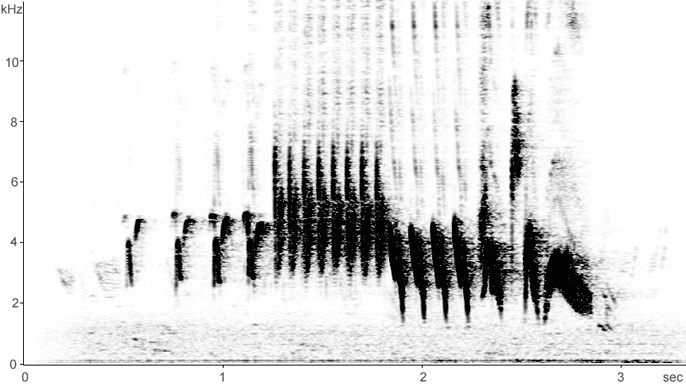 Song from hot, dry scub/woodland above the Río Tajo. 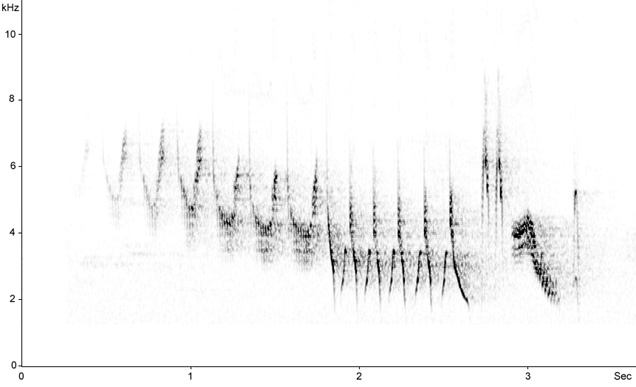 'Rain call' - an alarm call from a breeding male in natural pine forest. Territorial song phrase of three descending phrases and a terminal flourish. Territorial song phrase from open scrub/parkland. Territorial song phrase from open scrub/parkland from another individual. 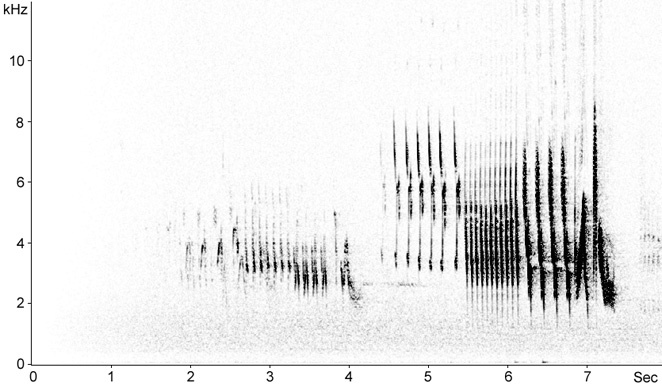 Breeding calls from a paired male. 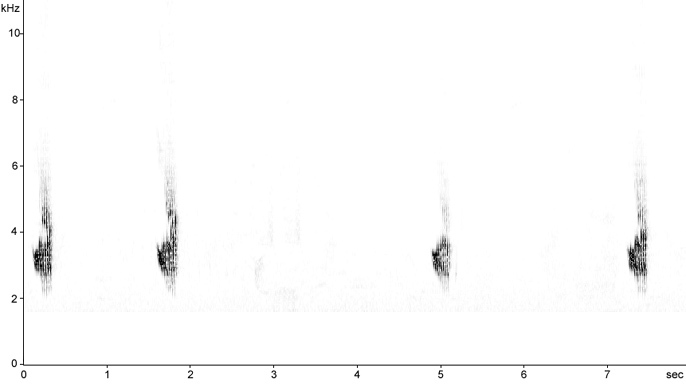 Single verse/strophe of territorial song from a bird singing in mixed forest along the Zebra Zubra trail in Bialowieza Forest; terminal flourish proceeded by a Great Spotted Woodpecker-like 'kick' (common in northern Europe but rare in the British Isles).